Chaiyaphum (Thai: ชัยภูมิ, [t͡ɕʰāj.jā.pʰūːm]) is one of the northeastern provinces (changwat) of Thailand. Neighboring provinces are (from north clockwise) Khon Kaen, Nakhon Ratchasima, Lopburi, and Phetchabun. The word chaiya originates from the Sanskrit word jaya meaning "victory", and the word phum from Sanskrit bhumi meaning "earth" or "land". 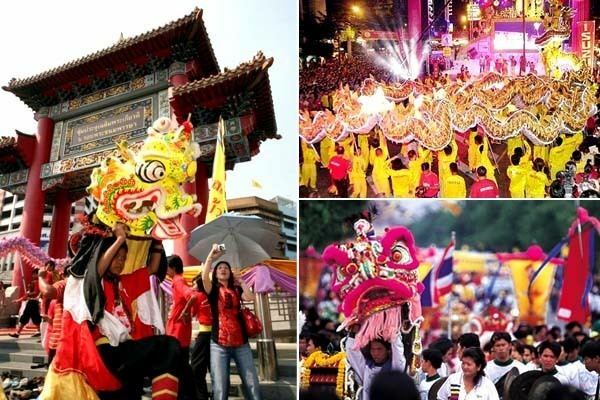 Hence the name of the province literally means "land of victory", the Malay/Indonesian/Sanskrit word jayabumi is equivalent. The province is cut in two by the Phetchabun mountain range, with the highest elevation in the province at 1,222 m. The east of the province is part of the Khorat Plateau. Four national parks are in the province. 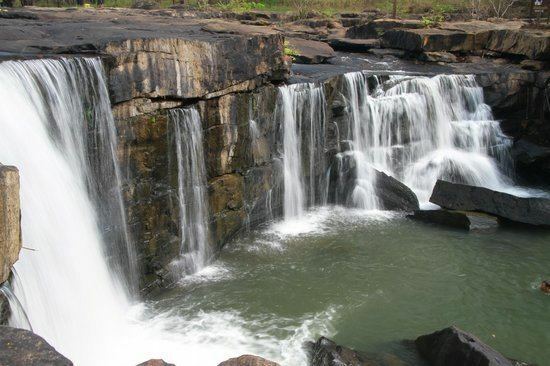 Tat Ton National Park is in the northwest, featuring some scenic waterfalls and dry dipterocarp forests. The biggest attraction of the Sai Thong National Park in the west is the Sai Thong waterfall, but also some fields of the Siam tulip. Similar fields can be found in the Pa Hin Ngam National Park in the southwest, scheduled to be gazetted in the future. This park's name ("beautiful rock forest") derives from the strangely-shaped rock formations found there. 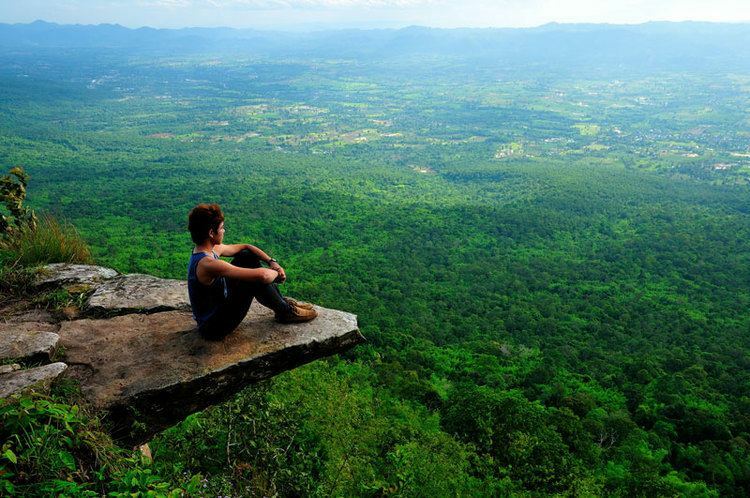 Phu Laenkha National Park covers 200 km² of forested hills northwest of Chaiyaphum city. 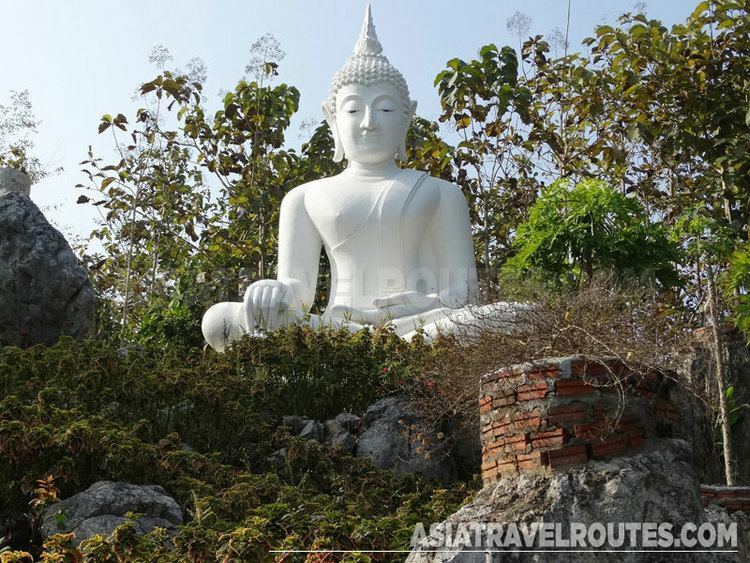 The history of the city of Chaiyaphum dates back to the Khmer Empire in the 12th century, when it was a small city on the route from Angkor to Prasat Singh (Kanchanaburi province). The Prang Ku still remains from this time. In 1817 the area was settled by Laotians led by Nai Lae, an official of King Anouvong of Vientiane, which was a tributary state of the Thai monarch. They settled in Baan Nam Khun Nong E Chan in Nakhon Ratchasima Province, but soon abandoned it in favor of Ban Luang (today's city of Chaiyaphum). In 1826 Anouvong rebelled against the Thai King Rama III, seeking to gain complete independence. Nai Lae, by then made a chao praya by the Thai monarch, supported the Siamese troops. Chao Phaya Lae was killed defending his city against Anouvong's army, but it was totally defeated by the Thai forces weeks later and Anouong taken in chains to Bangkok. King Rama III remembered Chao Phraya Lae for his loyalty and awarded him the title Phraya Phakdi Chumpon. He is still a local hero and his statue has become a symbol of the province. 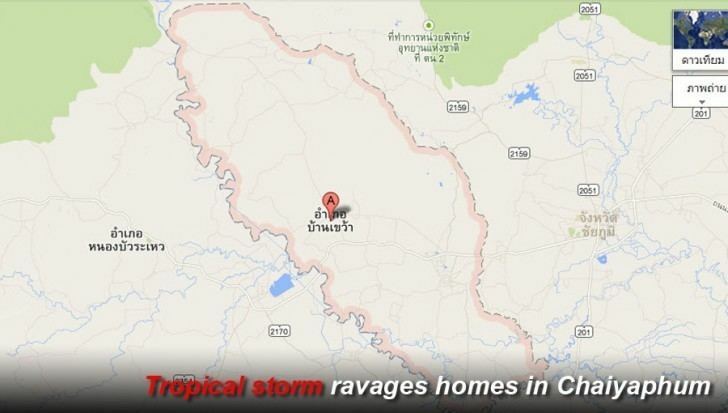 Most people in Chaiyaphum province are ethnically Lao. The first language of most people is the Isan language, a dialect of the Lao language. Principal crops in Chaiyaphum include rice, tapioca, sugar cane, and taro root. Chaiyaphum is known as a center of the Thai silk industry. The provincial seal shows a triangular flag, a symbol of victory in war. The provincial tree is Siamese senna (Cassia siamea), and the provincial flower the Siam Tulip (Curcuma alismatifolia). The provincial slogan เมืองโบราณ บ้านนักสู้ ภูเสียดฟ้า ป่าช้างหลาย ทุ่งไพรรก น้ำตกใส ผ้าไหมดี สตรีงาม แดนธรรมแดนทอง translates to "Enchanted city, home to heroes, mountain peaks, elephant forests, waterfalls, beautiful silk, lovely ladies, conscientious Buddhists". The province is divided into 16 districts (amphoe). The districts are further subdivided into 124 sub-districts (tambon) and 1393 villages (muban).